﻿Looking for an APARTMENT/HOUSE? See our DIRECTORY! Looking to JOIN? See our MEMBERSHIP info! The San Angelo Apartment Association is a trade association representing professionals in the rental housing industry. Members include rental housing owners, management companies, developers and suppliers. The association provides industry news and education, legislative action, leasing forms, networking opportunities and marketing connections for members. 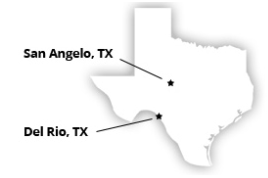 The jurisdictional limits of the San Angelo Apartment Association consist of the following counties - Coke, Concho, Crockett, Irion, Kimble, Mason, McCulloch, Menard, Schleicher, Sterling, Sutton, Tom Green, the Southern half of Runnels, and Val Verde. Members in good standing of the San Angelo Apartment Association are automatically considered members of the Texas Apartment Association (TAA), as well as the National Apartment Association (NAA) and entitled to the membership benefits of both. The San Angelo Apartment Association, Inc. is dedicated to promoting and advancing the general welfare of the housing industry through the association of those involved in ownership, management and suppliers of products and services to the industry. In February of 1981, thirty people responded to an ad in the San Angelo newspaper seeking individuals interested in forming an Apartment Association. On June 19, 1981, the San Angelo Apartment Association received its charter from the National Apartment Association. Thirty-five years later, the SAAA now has 98 Owner Members representing 8,274 units and 31 Vendor Members. 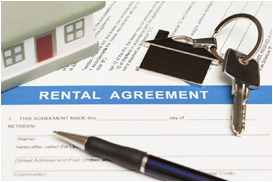 Through education, communication, and legislation, the San Angelo Apartment Association provides resources to rental housing owners and operators that assist them in developing and maintaining quality rental housing. Vivamus ultrices urna nibh, vitae scelerisque nisl euismod eu. Aliquam dapibus lobortis mauris, vitae imperdiet ligula. Cras tempor augue vitae pretium posuere. In iaculis risus nec orci viverra lacinia. Aliquam eget leo mi. Sed eget malesuada justo. Curabitur ac odio et tellus consectetur dapibus eu a dui. Ut et bibendum turpis. Sed non lorem mauris. Donec hendrerit convallis dolor, et varius erat rutrum vel. Suspendisse fermentum vulputate tincidunt. Nullam ornare leo quis tortor fermentum, non ornare ipsum rhoncus. Curabitur bibendum pellentesque ante non ullamcorper. Aliquam libero diam, blandit at nibh eget, aliquet posuere nulla.